New Doodlekit Layouts - Update! Yes, we are still working hard on the new Layouts & Tools! Things are coming together nicely - it's just a lot of work! The tools to actually create the new layouts are the most time consuming, not the layouts themselves. This is pretty much a whole new rewrite of our current templating system. It is huge... very huge! The new layouts and the tools used to create them will be incredibly flexible, dynamic and fun to use. So, what are all the new features in the layout tools? I can't even begin to explain... there are so many! New header image options, background options, menu design options, wider pages, more page layout options, fonts, etc. 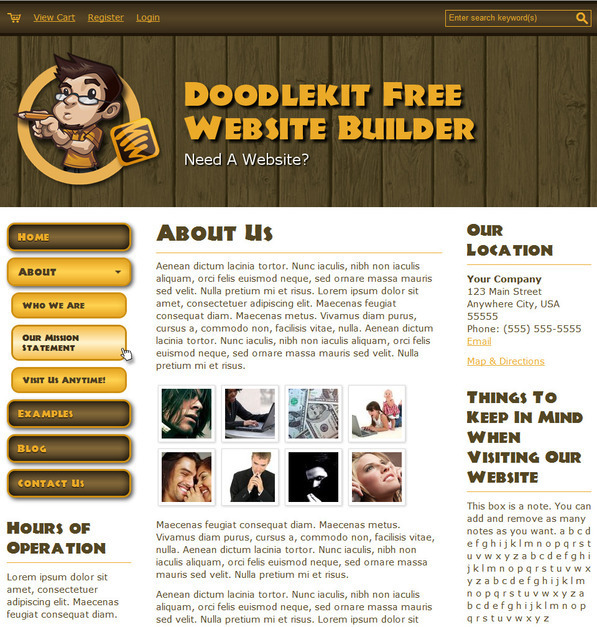 The new Doodlekit will propel us way beyond other website builders - you will be amazed at how powerful and flexible it will be. Below are two screenshots I took of a test site I use for development. This site was created using the tools we have working so far - anyone will be able to make a site like this. Pretty neat, eh? Not only are the Templates and Layouts going to be super cool, but so is the actual 'Template Manger' itself we are creating. The Template Manager will store hundreds (and eventually even thousands) of pre-designed layouts that anyone can pick and use on their site with just a few clicks. These templates, when selected, will create a local copy of themselves in your template library. That copy can then be tweaked and modified by you to make your own custom template! You will be able to store as many local copies of templates as you want, any of which you can deploy with just a click of a button. There is so much more about all of this to tell, but I need to get back to working on this stuff! I just wanted to give everyone an update and let you know we are moving along and that things are looking good - really good! Of course, the biggest question is 'When will you be done with it?'. I'm thinking about 3 - 6 months. There is a lot of extra stuff outside of the layouts and the admin tools we have to do as well in order to get this all set up. One of the biggest is backwards compatibility with our current system, not to mention help files and creating a template library to start out with. Lots to do :). I hope this helps to ease everyone's anxiety. You will be AMAZED at what you will be able to create with the new Doodlekit! That's exciting news, Heath! Looks fantastic; can't wait to give it a try!! Great news! Having used Doodlekit for several years now, enjoying watching the product evolve. Sounds like this will be big step forward. Keep up good work. I have a question: how can you create multipe blogs? 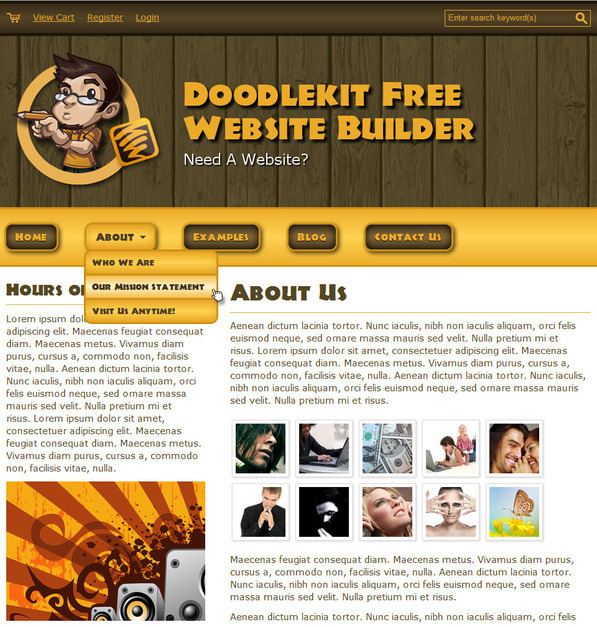 Is than possible with Doodlekit? You can only create multiple blogs by creating multiple websites. I can't wait am very much looking forward to new and innovative to show creativity. It seems very simple few clicks and voila, there is no doubt that every day it gets easier with this great tool. Hey Guys! Any more sneak peaks on the layouts? Just love getting those glimpses into the future. I am very excited with this news, looking forward to have more changes!